bed 6 · bath 6.5 · SLEEPS 12 · From $2.000 TO $4.000 usD per night + tax. 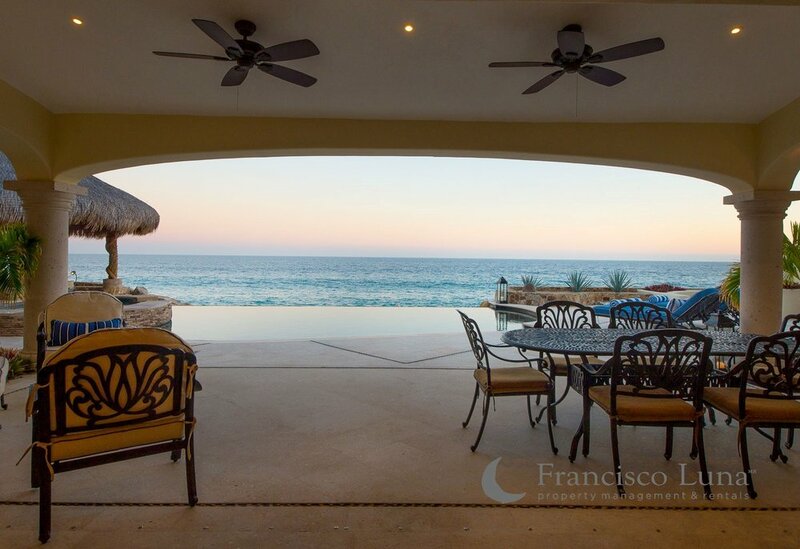 Located in San Jose’s, El Encanto La Laguna, this villa enjoys lavish views of the Sea of Cortez and the golden sand in complete privacy and within steps from our back doors. Featuring 6 bedrooms, 6.5 baths- it’s complete with all state of the art amenities you need for your special getaway. The inside living areas, have expansive floor-to-ceiling sliding doors and comfortable furnishing makes the areas feel open and spacious yet still cozy. Fully-equipped gourmet kitchen with plenty of sitting for family and friends to gather and savoring good food with an amazing view. 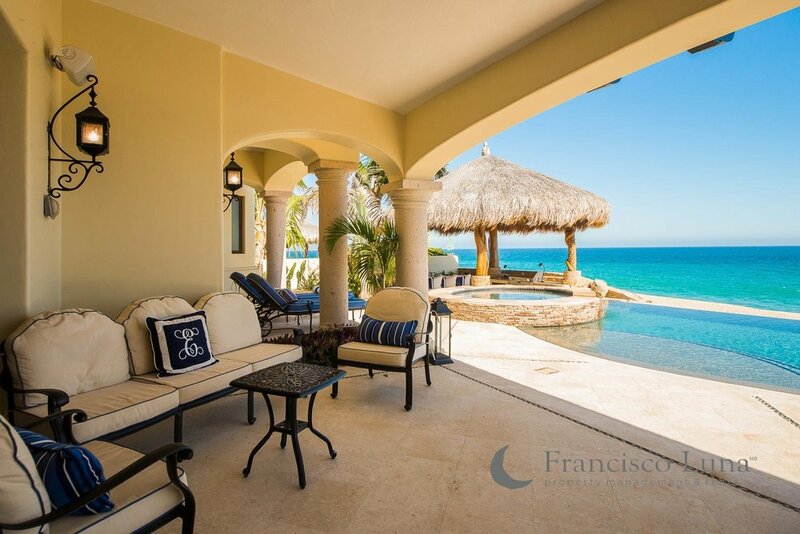 This beautiful villa has been created to enjoy the view of the beach from almost every room you find yourself in. 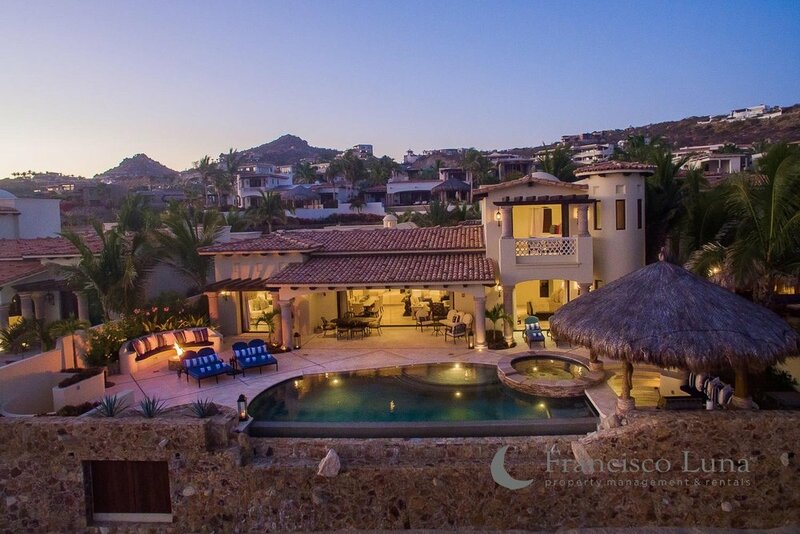 Just a 15 minute drive to the quaint downtown of San Jose and 30 minutes from the fun in Cabo. 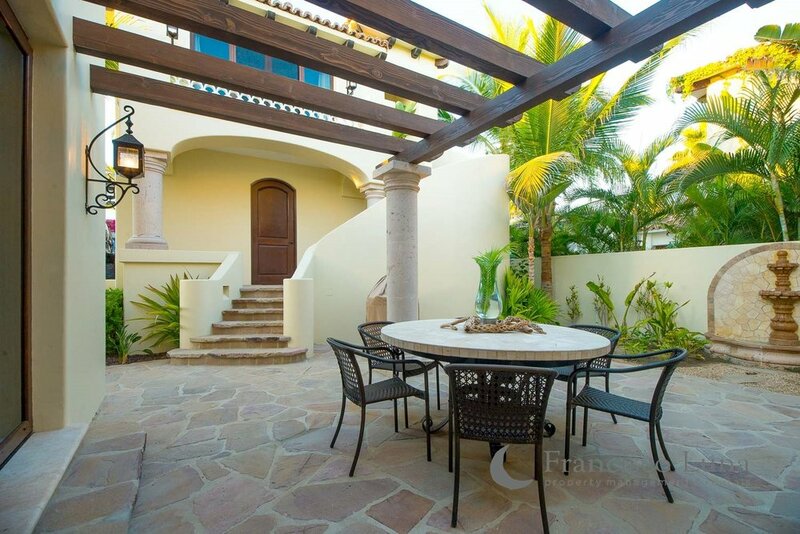 The outdoor space is great for relaxation and entertainment. 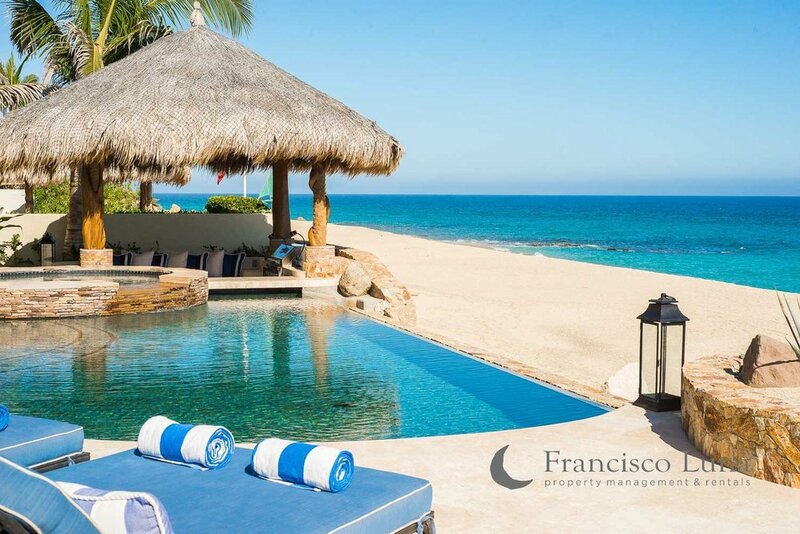 It has a lovely palapa equipped with a grill and sitting area, a separate lounge area complete with a fire pit. Comfortable lounges and oversized chairs perfect for getting “sun kissed,” and of course the infinity pool that is just steps away from the sandy beach.